Primary school children who need extra support in Calderdale are set to benefit from a new learning resource at Luddenden Youth Centre. 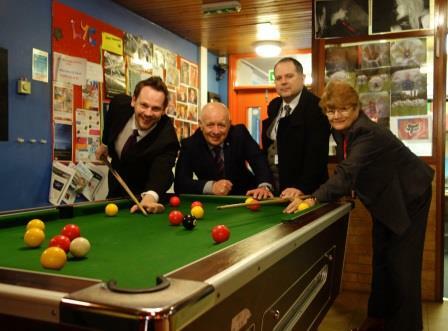 Local youngsters using the centre for youth services will also enjoy revamped facilities. The primary support facility will be for 7 to 11 year old pupils (Key Stage 2) with emotional, social and behavioural difficulties. It will boost the educational opportunities and outcomes for Calderdale children in this age range, providing a centralised service for schools and families which can support all needs and be easily accessed. As Luddenden is a central location compared to the current facility in north Halifax, travel time and costs for young people will be significantly reduced and pupils will be better prepared for their education, not tired from travelling. The new resource will also have spaces for specialised learning, including separate classrooms for practical subjects like food technology and art. The aim is to provide an interesting and exciting curriculum to help students engage with and enjoy learning. The youth services currently run in the centre in evenings and at weekends will continue, and thanks to Council funding will be even better. Alongside the work on the new primary learning resource for young children, the rest of the centre will be refurbished to bring it up to date, increase the range of activities and open it up to more people in the community. “This is a positive step forward in building on the great services that we already provide. Ofsted has already stated that our provision for young children needing extra support is good overall – that includes the behaviour and achievement of pupils and the quality of teaching and management. Staff are highly skilled at meeting the needs of pupils, and the children are making good progress. We want to build on this success, so we welcome the creation of a new facility. Locating it in central Calderdale will make our services more accessible to a wider range of people. Calderdale Council gave the go ahead for the next steps to be taken after considering a feasibility study and approving the funding at full Council in February 2014. £441,000 has been set aside from the school capital budget. The next stage is to prepare more detailed designs.